Mr. President, I would like to express my support for the Majority Leader’s plan to raise the debt ceiling and reduce the deficit. Our nation, as we all know, faces a looming crisis. Many Americans are struggling. Far too many remain out of work. They cannot be asked to absorb the shockwaves of yet another failure to act. It is time for both sides and both chambers to find common ground. Reasonable and responsible editorials from across the country have endorsed the Majority Leader’s proposal. Well-meaning people on all sides have shown genuine concern. Most all of us share those concerns about the implications of not acting. There are in the other party some individuals who view themselves as revolutionaries in the best sense of the word. They appear less concerned with the here and now than with where they want to take the country in the future. We all understand that the two are connected and that looking to the future is vital to the country. The question, though, is the harm that might be caused by precipitous action. Columnist George Will wrote a column a few days ago likening the Tea Party movement of today to the beginning of the Goldwater-Reagan conservative era–that the Goldwater movement of 1964, even though it did not bring Senator Goldwater to the Presidency, was the first step toward the conservative revolution that culminated in Ronald Reagan’s election in 1980. Those are Mr. Will’s words; that is Mr. Will’s considered opinion. That may be so, and it may not be so, but the first rule of good governance is to do no harm. That doesn’t mean we shouldn’t make cuts. That doesn’t mean we shouldn’t look toward some of the directions that the debate has taken us. But it means be careful when you are dealing with the fragility of national policy at a time like this. Some things sound better in a speech to a room full of activists than they actually are in the reality of how you govern and the practicality of how you actually bring about change where change is needed. Senator Goldwater did not attempt to torpedo the economy in order to get his way. Ronald Reagan, in whose administration I proudly served, raised the national debt eighteen times—more than any other president. I do not think the Republicans, who are using this issue as a lever to bring about their view of radical change, want to look back at a fractured economic recovery, a downgraded credit rating for the world’s number one economy, a citizenry that has become more angry and less capable of predicting its own financial future, and then say, as if all of this were not predictable, that they destroyed the American economy in order to save it. 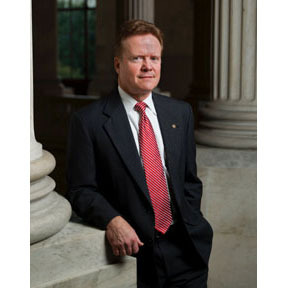 Jim Webb is a United States senator. The preceding remarks were taken from a speech made by Webb on the Senate floor on July 27, 2011.